Barry Kirwan Blog: If we could genetically enhance our children's mental abilities, would we? Should we? If we could genetically enhance our children's mental abilities, would we? Should we? We'd all like to be smarter, right? And we'd like to see our kids excel. And we're getting closer to the day when such scientific manipulation will be possible. So why is it that science fiction always paints such a bleak picture of genetic enhancement? Is it because it makes better fiction, or are the authors right? Does smarter mean happier, both for those who are enhanced, and those who are left behind? This question has been around for some time in Science Fiction, most easily seen in TV series such as Star Trek which refers habitually to the "Eurgenics Wars" wherein "advanced " humans who were genetically tampered with ended up in a war with their forebears (e.g. 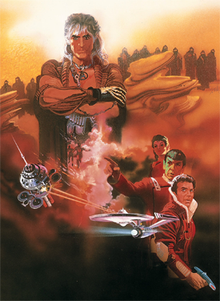 the Star Trek film 'The Wrath of Khan' and later episodes in the 'Enterprise' series on human 'augments'). Most Scifi from Aldous Huxley's Brave New World onwards seems to assume that any genetic advances will arrive with a heavy social price tag attached, ending in strife or even wars. But does it always have to end badly? Couldn't we switch off nasty genes? This was dealt with in the film Gattaca, but still there is the assumption that such 'playing with nature' will reap downsides as well as advantages which will create social problems. He frowned. They’d been over this before. Each time he went through it he felt victory – sustainable survival prospects for humanity – slipping from his grasp. He held up a closed fist, and then peeled open his little finger, beginning his cataloguing of the five main differences predicted. Micah cut in – he had to get off this track somehow. “That’s not how it’s going to be. Less labile means less erratic: people will be able to control their emotions, they won’t fly off the handle so readily. There’ll also be much less mental illness, if any at all. Isn’t that worth something?” He stared at the faces around the room. Micah wasn’t sure if Blake was supporting or preparing for an attack. “Yes,” he said cautiously. It was rhetorical. Micah didn’t get a chance to reply. In my third book, Eden's Revenge, the results of genetic enhancement are explored at both societal and individual levels. Society on Esperia, a new planet inhabited by humanity, splits between 'Steaders', the parents, and 'Genners', their advanced offspring, and the sharp tensions in-between. Towards the end of the book, thanks to an alien threat, there is some degree of reconciliation between the two groups, and also at the individual level certain characters ((both normal and genned) begin to reflect on the advantages and disadvantages, and the personal cost of what they have done. This argument and 'scifi experiment' will be brought to its conclusion in the final book in the series, Return to Eden. So, as a psychologist who tries to predict the future via science fiction, I find myself in the camp where genetic advancement will cause problems, but it depends how fast we move, and what exactly will change. The idea of getting rid of disease and mental problems is very enticing, but we have to consider the side-effects for the individual and society as a whole. If we start messing with the blueprint of the human mind, it is far too easy to focus on the logical aspects only (mental capacities), and forget about the emotional side which is an essentiial part of our personality and our collective character as a race. Being clever doesn't mean being happy. The more germane question in all of this, given the rate of medical progress, is how long have we got before we have to make up our minds on genetic enhancement? Science often moves ahead subtly, and before you know it, a new 'breakthrough' has already crossed a line, and society is left to adapt quickly. Imagine a company suddenly offering memory enhancement gene therapy, or saying that with a small operation your kid could get a degree in advanced mathematics. A lot of people would jump in, and stump up the cash. This could be big business, and as we know, regulation is slow to tackle and moderate such commercial enterprise. There is also the military angle, with a lot of science fiction focusing on 'super-soldiers' with heightened strength and reflexes. For sure, somewhere research is going on in this area. In my books all this doesn't happen until 2065, but actually I think it will arise a lot sooner. Will we be ready when it arrives? Probably not. We'll just have to hope that emotional intelligence remains on the scientfic agenda, and that the 'next generation' will still have compassion and empathy. On a more personal note, while I'd like to see certain medical advancements and eradication of genetic defects that lead to disease, I like my daughter just the way she is. So, think about it, because for sure, sometime this century, and maybe a lot sooner, this question is going to become a real one, if not for you, then for your kids. The Eden Paradox series is a set of four science fiction thrillers, charting humanity's encounter with 'superior' alien intelligences, and how we adapt to survive. 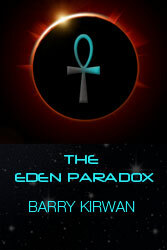 The Eden Paradox is available in paperback and ebook on Amazon, Barnes & Noble, Ampichelis and Waterstones. Eden's Trial is available on ebook from Amazon, and in paperback from September 2012. 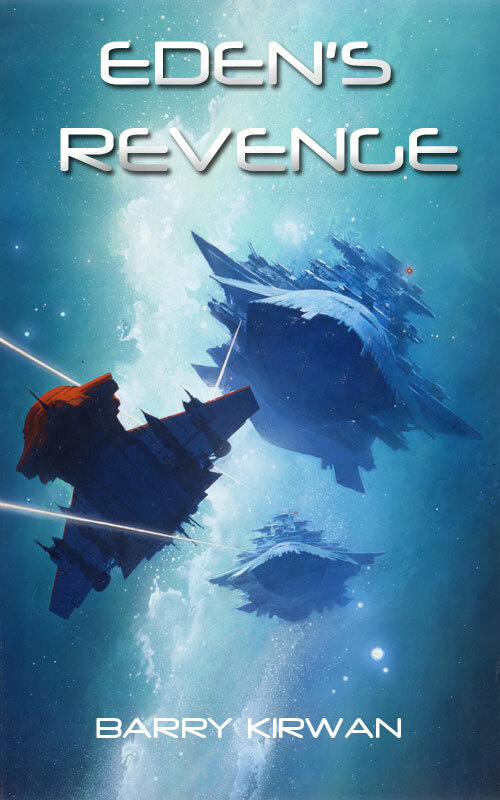 Eden's Revenge is coming out Xmas 2012. Return to Eden, the finale of the series, will be available summer 2013.